Continuous Glucose Monitoring (CGM) is a way to actively track glucose levels, 24/7, with little effort required by the user. A CGM system consists of a small wearable device that actively monitors glucose at regular intervals, 24 hours a day, notifying the user of highs and lows so you can take action . 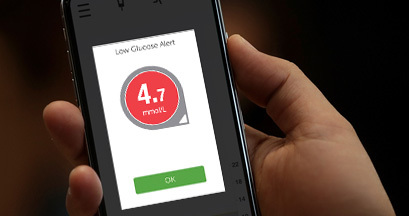 With alerts based on real-time data, CGM users have the ability to proactively manage glucose highs and lows, and gain valuable insights into the impact of meals, exercise and illness on glucose levels. 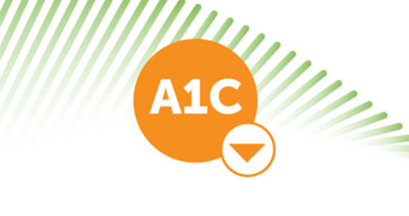 A study has shown that CGM systems may help reduce A1C levels and reduce the risk for hypoglycemia, whether users are on insulin injections or pump therapy 1. 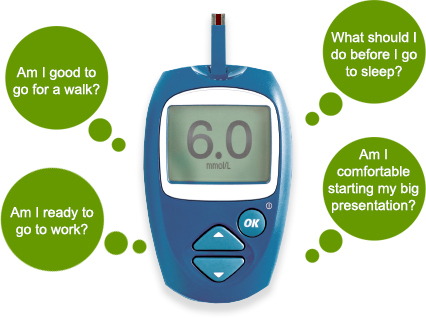 Blood glucose meters display a single glucose value at one point in time with no additional context. CGM systems, by contrast, can provide real-time, dynamic glucose information, showing not only where your glucose is, but where it's heading, and how quickly it's changing. If this was your meter reading, what would you do? Would you respond differently if you know your glucose was falling rapidly? CGM users insert a tiny sensor wire just underneath the skin with an applicator. An adhesive patch holds the sensor in place so the sensor can measure glucose levels in the interstitial fluid. A small, reusable transmitter connects to the sensor and sends real-time readings wirelessly to a receiver, so you can view the information. With the Dexcom G5® Mobile CGM System, your current glucose data can be shown on a compatible smart device$ (like a phone or a watch) using the Dexcom G5 Mobile app, or on an optional receiver. To view a list of compatible devices, click here. hypoglycemia1-3, and reduce the number of hypoglycemic events4. It helps to know before you’re low! The Dexcom CGM system is equipped with alerts that can warn you of approaching lows and highs. So you can sleep with less worry. What's the difference between Continuous Glucose Monitoring (CGM) and Flash Glucose Monitoring (FGM)? There are many differences between the Dexcom G5® Mobile CGM System and Abbott’s Freestyle Libre Flash Glucose Monitoring System. Can you make treatment decisions without fingerstick confirmation? 8 Requires the Follow Ap and internet connection. Followers should always confirm readings on the Dexcom G5® Mobile app or Receiver before making treatment decisions. Anyone living with diabetes on intensive insulin therapy would benefit from CGM, as it offers real-time glucose levels at a glance, trending data and alerts to help users proactively manage their diabetes. Discover more details about the world’s first mobile continuous glucose monitoring (CGM) system that can help you know before you’re low. If you have any questions or would like our help to check your insurance coverage, please contact us at 1-844-832-1810 or fill out our contact form and one of our Dexcom representatives will follow-up with you directly. 2 Juvenile Diabetes Research Foundation Continuous Glucose Monitoring Study Group. Continuous Glucos Monitoring and Intensive Treatment of Type 1 Diabetes, N Engl J Med. 2008:359(14); 1464-1476. 4 Heinemann L Freckmann G. Faber-Heinemann G. Stefania Guerra S. Ehrmann D. Waldenmaier D. Hermanns N. Benefits of continuous glucose monitoring use in adults with type 1 diabetes and impaired hypoglycaemia awareness and/or severe hypoglycaemia treated with multiple daily insulin injections· Results of the multi-centre. randomised controlled HypoDE study. Lancet. In press. 8 Requires the Follow App and an internet connection. 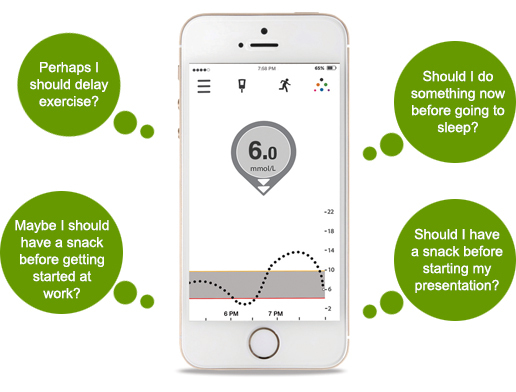 Followers should always confirm readings on the Dexcom G5® Mobile app or Receiver before making treatment decisions.